This month SOAS (School of Oriental and African Studies) University of London, hosted Benjamin Monnet to talk about the struggle against the Jeju naval base, sponsored by the ‘Save Jeju Island’ student society. 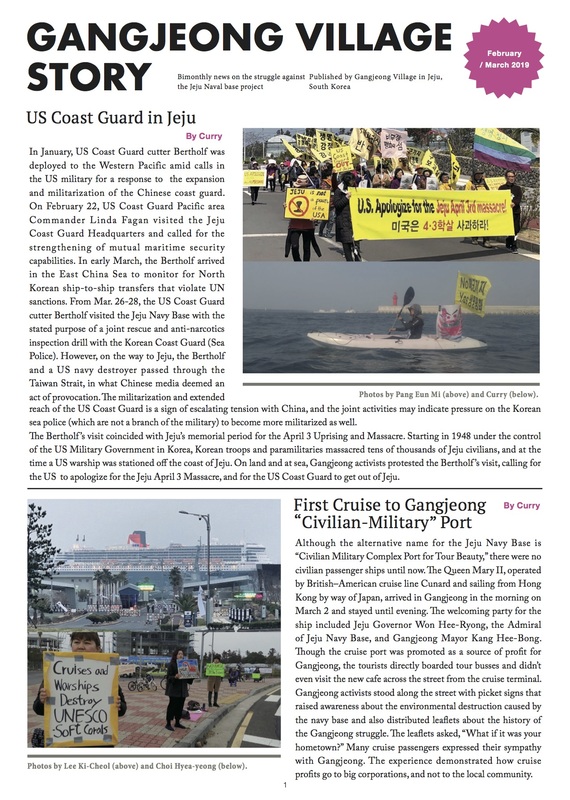 Benj, as he is known to his many friends, lived in Gangjeong village for ten months, joining the resisting the naval base and bringing the issue to the attention of international media. 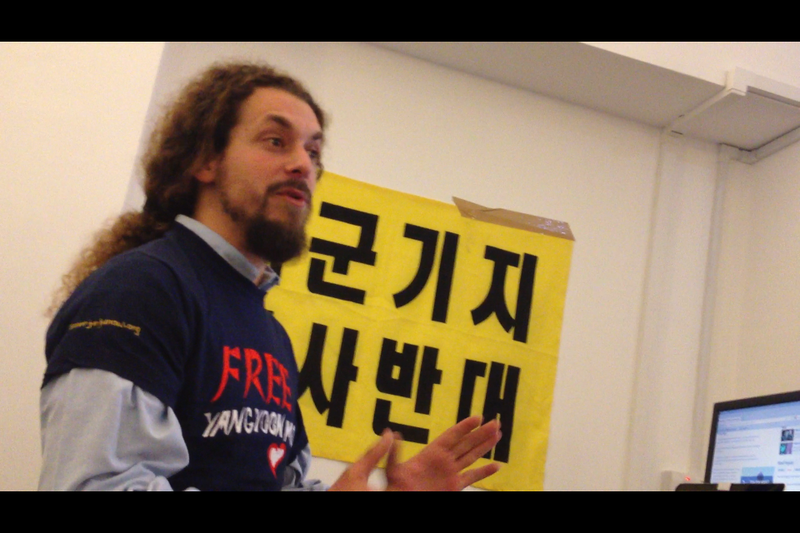 He was a valued and loved member of the village peace community, but last year was deported suddenly, violently and illegally by a South Korean government clearly worried by his non-violent acts to defend the Gureombi from detonation. 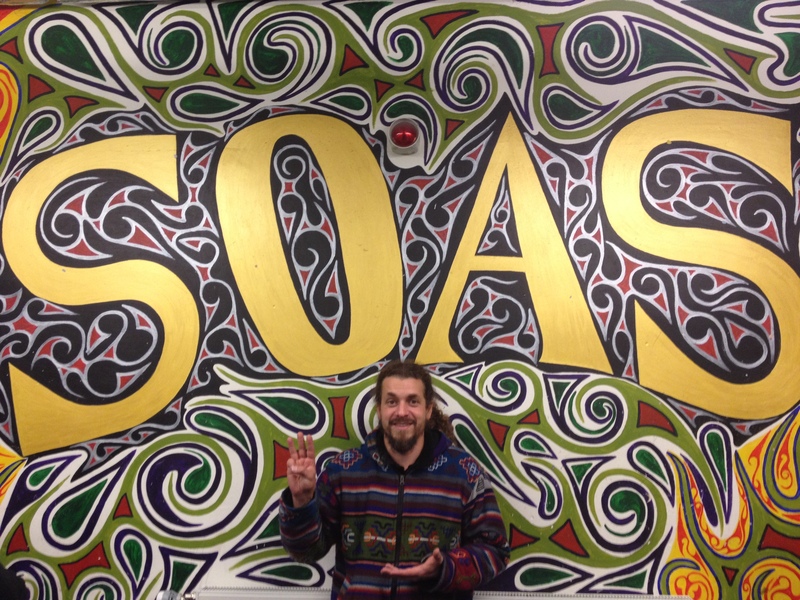 He arrived in London from his hometown in France the day before his talk and came straight to SOAS, meeting other students involved in the ‘Save Jeju Island’ society. Immediately he was engaging with students, inviting them to the event and helping our team put posters around the student union. A real ‘hands on’ guest speaker! 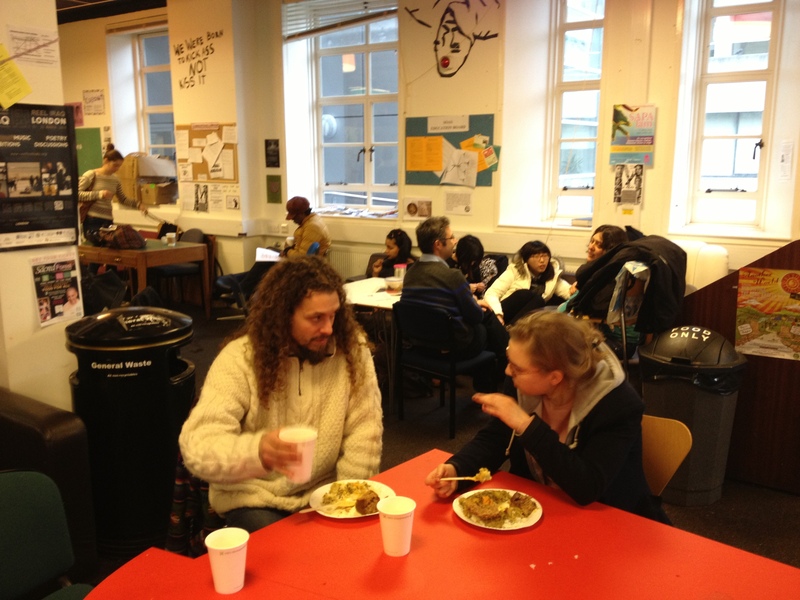 We shared a delicious Indian curry provided free by Hari Krishna devotees on the campus. 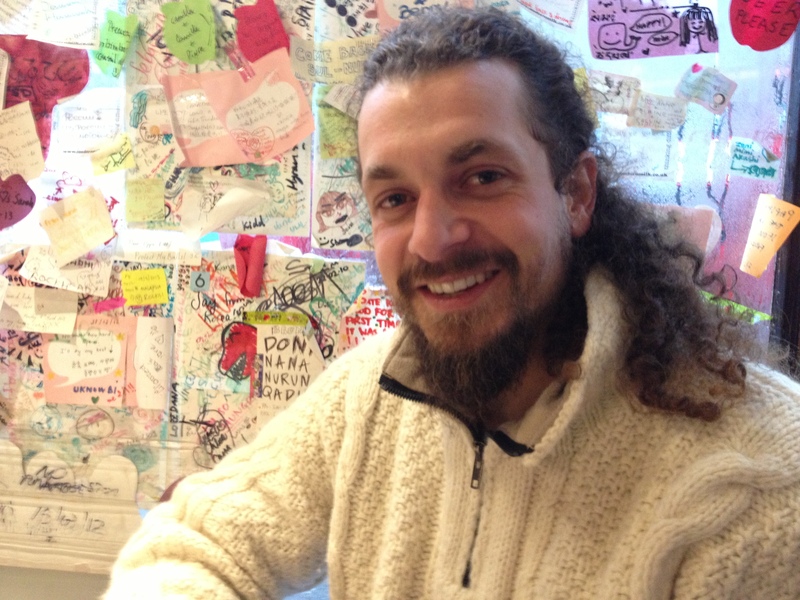 Benj, who is now based in Nepal, said the food made him feel at home. The talk the next day was attended by twenty five students, from the UK, South Korea, Japan, Norway, Italy and Tahiti. Benj’s desire was to ‘generate some inspiration’, and he did so speaking in his warm, calm French accent. But behind this softly spoken man there is a strong passion for justice, and for harmony among all people and nature. There is anger too at the destruction and injustice taking place at Gangjeong. He showed film of the navy’s ramming of Save Our Seas team kayaks, in which he narrowly missed being killed ( * See the English article, here), and described, when asked by audience members, the events leading up to the deportation that has separated him from his partner, and the people and place he loves. But he was careful to not make himself the focus of a talk about that is fundamentally about the struggle against greed and militarism. He is uncomfortable with the ‘activist’ label – “I’m not sure what I am, but I know I am human and I have a heart”. Without saying it directly, he was challenging the audience to examine their own hearts in relation to the Gangjeong issue. Many people were reluctant to leave after the event, and stayed continuing discussions. Benj warmly suggested everyone go together for dinner, so ten of us went to ‘Naru’, a Korean restaurant near the university. We enjoyed making new friendships over delicious food. Being with many Korean students, and engaging with the friendly staff made Benj visibly happy. ‘Oh I’ve missed the energy of Korean people!’ he said, beaming with a big smile. Unfortunately his planned visit to Wales to meet with British peace campaigner Angie Zelter, who was also arrested with Benj at the time of his deportation, and who is now barred from entering South Korea, could not go ahead due to heavy snow. Benji used his extra time in London to meet with an independent film maker, who had attended his talk, and who is working on a documentary on South Korea. He also made contact with a professor in another UK university who was keen to invite Benj to speak about the Jeju naval base. While at SOAS we met political rapper ‘Lowkey’, who asked lots of questions about the situation in Jeju, and the US military in South Korea, and took away Gangjeong Village news letters. On a personal level, I was happy to spend more time Benj and deepen our friendship. We had lots of interesting discussions, and some pretty funny ones too. Over another Korean dinner, and some very good makkoli, we celebrated the great news that Yang Yoon Mo had ended this 52 day hunger strike in jail, and agreed this should encourage us to work harder for the ‘Free Yang Yoon Mo’ campaign. 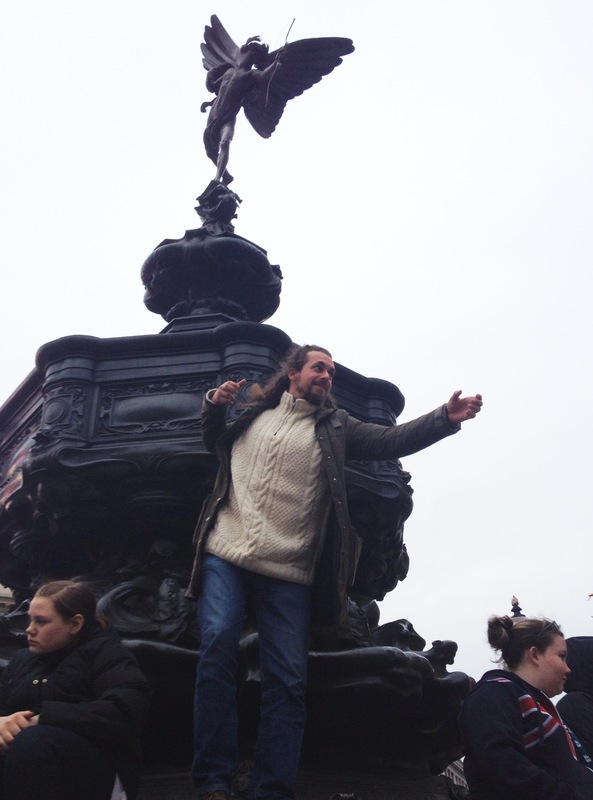 It was great to have Benji with us in London. He definitely generated inspiration, and he continues the fight for Gangjeong, waking people up so they might join us.